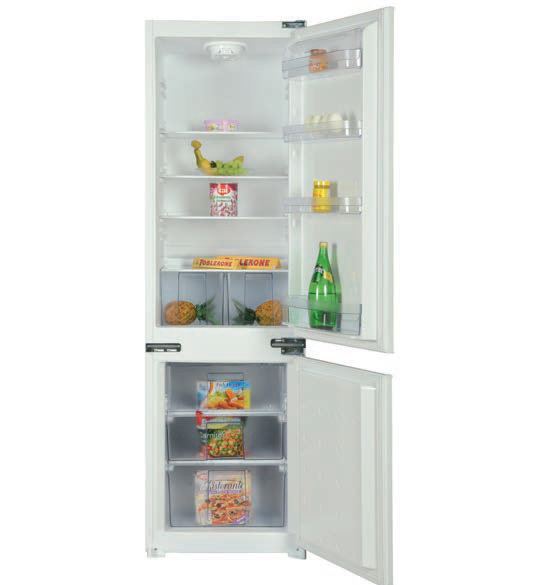 Bottom compartments of the refrigerator can be converted from freezer to fridge mode, or vice versa, on demand. 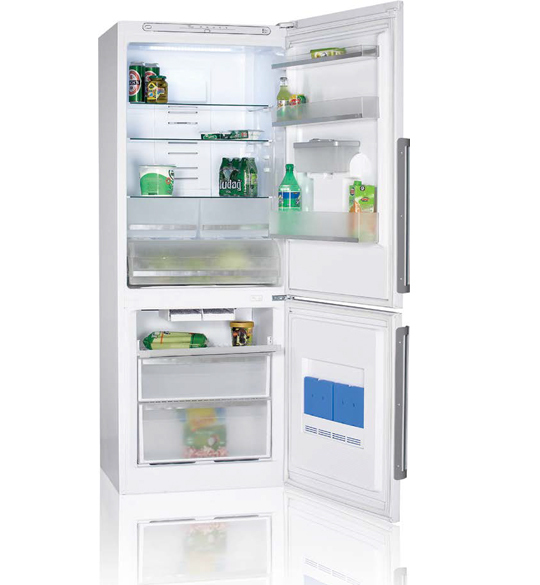 Equipped with double compressors and two evaporators, it employs separate air circulation for fridge and freezer compartments so that taste and odor transfer between the fridge and freezer compartments is prevented. Furthermore, the vegetables are kept fresh longer. Vestel French Door cooling system is a combination of two cooling systems. Cooler Compartment has Cold Wrap cooling system, as the circulating cold air wraps the food in the fridge compartment. This minimizes the heat transfer from the walls and ensures the food to stay fresh longer. Additional to the hidden LED lighting on the cabinet, door integrated LEDs rom the sides provide superior illumination. Special sliding rails ensure easy closure of the drawers. 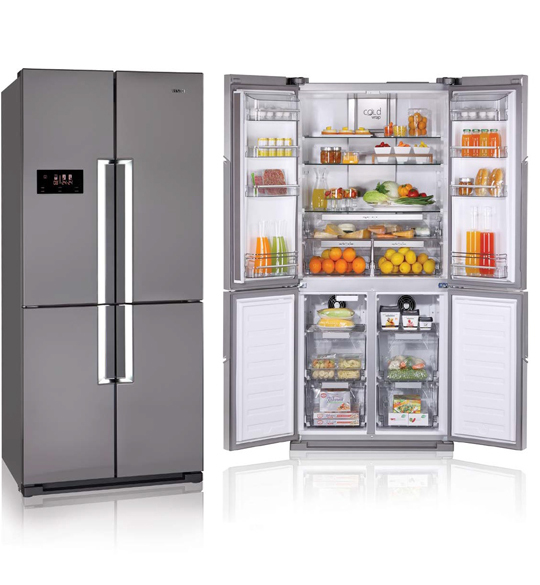 Gross / Net Volume: 620 lt. / 526 lt.
Refrigerator / Freezer Net Volume: 362 lt. / 164 lt.